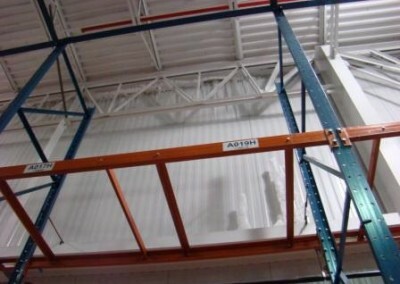 Raymond Engineering was retained by the Campanelli Company to perform infrared surveys of their freezer buildings at sites in Georgia, Pennsylvania, Virginia and Texas to identify air leaks. Campanelli Company had been retained by one of its clients to construct freezer buildings throughout the United States. Shortly after completing the facility in Philadelphia, PA, large icicles began falling from the ceilings, endangering the workers. Raymond Engineering was retained to conduct air barrier testing at all facilities that had been constructed or were in various stages of completion of evaluate whether air leakage was taking place at the roof-wall and wall-floor transitions. The work required that infrared survey work take place in sub-zero operational freezers. 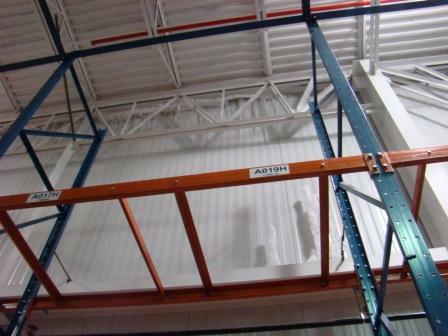 Since all freezers had already been outfitted with shelves and, in some cases, frozen goods, we were required to work on forklifts outfitted with crew baskets in order to examine to roof-wall connections. As a result of these surveys, we were able to identify areas where significant heat loss or air leakage was taking place. Campanelli was then able to take corrective actions before the project was turned over to the building owner. 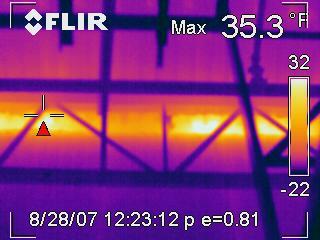 This effort also resulted in significant reduction from heat loss and eliminated ice formation within the building.